Ron Paul takes New Hampshire second Jump to media player Texas Congressman Ron Paul has had an encouraging night at the New Hampshire primary, where he came in second place. 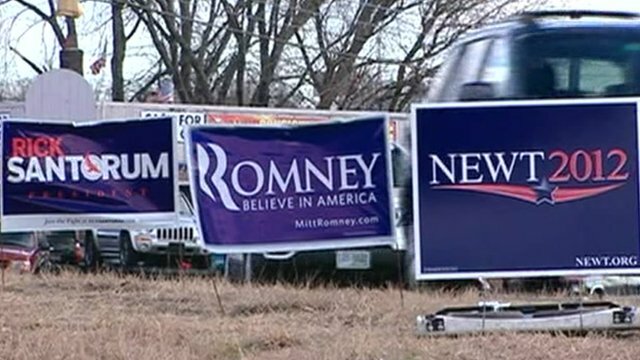 Who is New Hampshire backing? Jump to media player The race to win the Republican nomination for US president has reached New Hampshire - the first primary in the Republican nomination process. 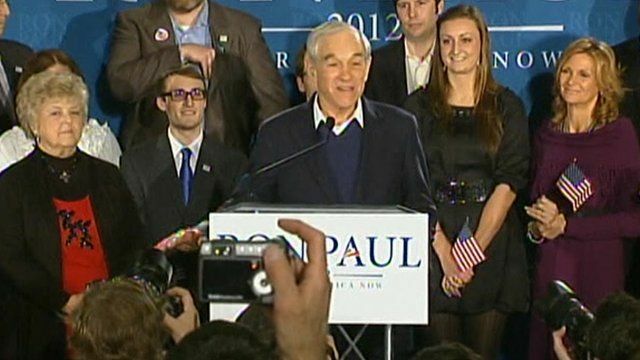 Texas Congressman Ron Paul has had an encouraging night at the New Hampshire primary, where he came in second place. 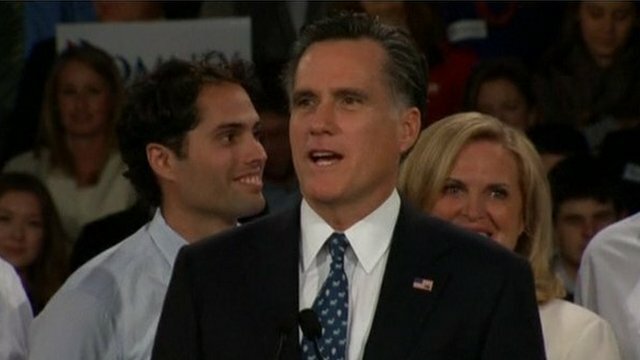 He is currently on 25% behind Mitt Romney, who led on 35%. Addressing supporters, Mr Paul claimed an intellectual revolution had begun.